As US envoys Jared Kushner and Jason Greenblatt toured the Middle East last month, apparently on the verge of announcing President Donald Trump’s Middle East peace plan, many commentators warned the US to postpone unveiling its plan. ‘The two-state solution is dead’, they said, and in any case it will most certainly be rejected by the Palestinian Authority (PA), which has been boycotting the US since Washington moved its embassy in Israel to Jerusalem. While friction between Israeli and Palestinian leaders may prevent the parties from sitting at the negotiating table anytime soon, the ingredients for a territorial partition into two states along the 1967 lines continue to exist. And such a partition could become a reality if the Israeli and particularly the Palestinian leaders were ready to make it so. It’s now 10 years since 2008, when Israeli Prime Minister Ehud Olmert offered the Palestinians a state covering nearly all of the West Bank (with land swaps for settlements), the Gaza Strip and Arab neighbourhoods of east Jerusalem; compensation, resettlement, or both, for Palestinian refugees; and sovereignty over holy sites. His offer was even more far-reaching than the similar offer by Israeli Prime Minister Ehud Barak in 2000–01. All of those offers were effectively rejected by the PA. The rejections and years of political stalemate have led some Israeli politicians to call for either annexing Israeli settlements or unilaterally withdrawing from parts of the West Bank, as Israel unilaterally withdrew from Gaza in 2005. However, that isn’t the position of the Israeli government, and many Israelis are sceptical of unilateral withdrawal following what happened to Gaza when Israel left: the Islamist terror group Hamas took over the Strip, leading to its deterioration and thousands of repeated rocket attacks on Israel. Some commentators, such as Peter Rodgers (‘Israel–Palestine: vale the two-state solution, where to now?’ ), make much of the fact that the current Israeli government contains two-state resolution opponents such as Housing Minister Naftali Bennett. Yet the presence of two-state opponents like Bennett in both the Knesset and Israel’s cabinet is neither new nor unusual. Bennett heads the Jewish Home party, the only party in the Knesset that’s ideologically opposed to a two-state resolution ever coming about. It holds 8 seats out of 120—hardly a sign that the Israeli voting public or the Knesset is now opposed to a genuine two-state outcome. Meanwhile, it has become increasingly fashionable for commentators to declare a two-state solution dead because of the growth of Jewish settlements in the West Bank. That argument appears to ignore that little has materially changed in terms of settlements since the 2008 Israeli offer under Olmert. No new settlements have been built since then, while the built-up areas of the existing settlements have shown no substantive territorial growth, and are estimated to be less than 2% of the West Bank (according to  the BBC). While we often hear that the ‘settlements are growing’, that’s largely due to high birth rates in existing settlements; construction in settlements over the past 10 years has been measurably lower than in the previous decade. In any two-state model, it’s widely expected that Israel would use land swaps to keep the settlement blocs where most Israeli settlers live—that is, by annexing a small area of the West Bank in exchange for conceding equivalent Israeli territory to the PA. Yes, the number of Jews living in those blocs—and to a lesser extent, outside of them—has risen over the past 10 years. But given that it’s expected that the settlement blocs will remain part of Israel in virtually any conceivable deal, it is hard to view this as an overwhelming impediment to any genuine peace deal. Still, given that the PA isn’t speaking to the US, the timing of this ‘peace plan’ may seem odd. The Trump administration appears to be relying on the influence of Arab states, including Egypt, Jordan and Saudi Arabia, to publicly back the plan. This approach recognises that the strategic landscape in the Middle East has changed. Jordan and Egypt already have longstanding peace agreements with Israel and cooperate extensively with Israel on security matters, and any Palestinian state would directly affect their interests and borders. Saudi Arabia has increasingly made it clear that it shares Israel’s profound strategic concerns regarding Iran, and that it views Iran, and not the Palestinians, as its main priority. Arab states can’t make the Palestinians negotiate or accept a deal, but they can help to encourage them to do so. Fresh ideas are certainly needed to bring Israelis and Palestinians back to negotiations. Those ideas should build upon 30 years of negotiations, which began with the Oslo Accords, to make progress towards a workable, ultimately two-state, agreement. The issue ahead, which is likely to be clarified soon, is whether a new US proposal can break the political stalemate or will be remembered as yet another ‘missed opportunity’. Sharyn Mittelman is a senior policy analyst at the Australia/Israel & Jewish Affairs Council. 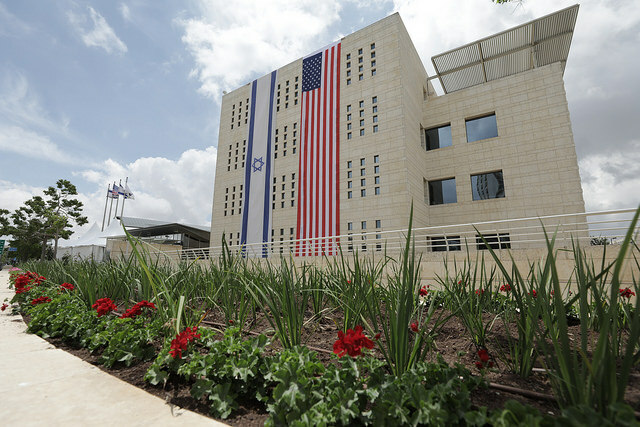 Image courtesy of Flickr user Israel Ministry of Foreign Affairs.